We use professional strength carpet cleaning chemicals that are guaranteed to give the best results and that are non toxic to pets and children. To help keep our prices low we do not offer a furniture moving service. Our Insect treatment is an odorless, highly effective, permethrin free insecticide for treating all flying and creeping harmful (cold-blooded) insects, such as flies, wasps, fleas, cockroaches, ants, mites, spiders, moths, and silverfish. It has a controlled long-time effect of approximately 8 weeks and can be applied directly to your carpets. After the 8 week active period the active substances disintegrate leaving the area free. This avoids the accumulation of the active substance. Our insect treatment can be used in food processing areas, storerooms, hotels, homes and hospitals. We have invested in a piece of equipment that has been imported from the US that offers outstanding carpet cleaning results. The ROTOVAC out cleans all other carpet cleaning systems currently in use in the UK. With its intensive, aggressive cleaning action, the ROTOVAC carpet cleaning system restores heavily soiled carpets and matted traffic areas with ease. 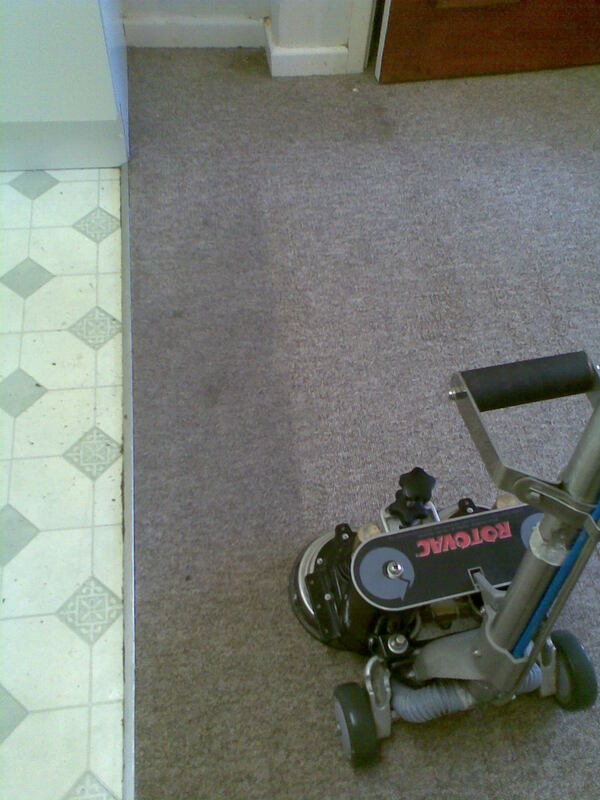 Carpet Cleaning with a conventional wand cleaning system the operator can make around 60 two directional carpet cleaning passes per minute. As the person tires the number and quality of the cleaning deteriorates. The ROTOVAC carpet cleaning system makes 1500 multi-directional cleaning passes per minute .... all day long. Even stains and ground in soiling in a 30 year old carpet are no match for our ROTOVAC system.